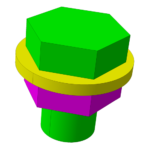 One of my favorite CATIA keyboard shortcut is space key, because I use this button for show/ hide parts. 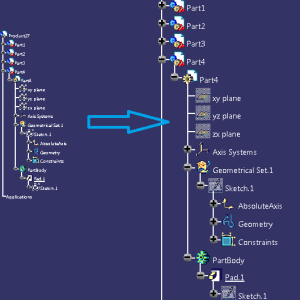 Another shortcut is CTRL+SHIFT+C for Collapse All (because I work with long CATIA tree and I need a fast way to collapse the entire tree). Also, another standard keyboard shortcut it’s F3, that show/ hide the tree (Specifications). 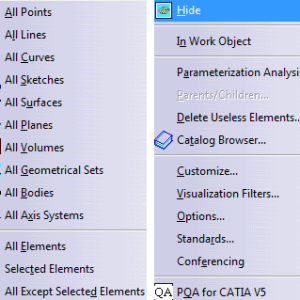 Now, it’s time to show you how you can set up the CATIA keyboard shortcuts for your most used CATIA commands. To do the set up, you must select Tools -> Customize. Navigate on tab Commands, scroll down the column Category and select All Commands. 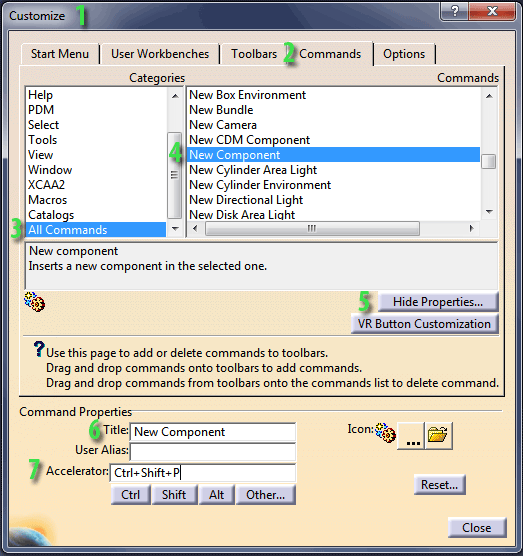 In the column Commands you can find all commands available in CATIA. If you don’t know what is the name of the command you can move the cursor over it and wait to appear the name. Now, I will show you an example of set up. I want to set up the button insert New component from the Assembly module. With the previous step applied, I put the selection on Commands column and I press N, the first letter from command for a fast search. Select the name of command and press the button Show Proprieties… In the row Accelerator put the combination of keys that you want to use, I chose the combination CTRL+ALT+P. Note: You also can put on Title tab the name of the command if you know the name of it. 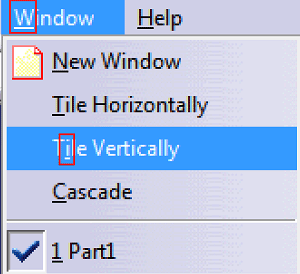 Another simple method to use keyboard shortcuts in CATIA is to use keyboard without any setup of shortcuts keys. 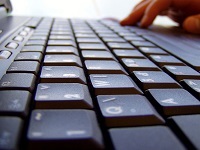 To use this method is sufficient to press the File, Edit, View… using the mouse arrow and the underlined letter. If you want to launch the formula is necessary to click with mouse on Tools and after that with keyboard press Formula. An interesting thing is that you can use this method to open a large tree like View -> Render style -> Perspective – click on View and after that press Y and P.
This method looks hard to use at first, but it will become in short time an automatism. Note: Not all commands works with this method. please specify the second process sequentially. Its very hard to understand but u said sufficient to press the File, Edit, View… using the mouse arrow and the underlined letter in veiew ther is no option for underline letter. It is important to have Windows Vista, Win7 or another newer OS. For me the Accelerator Row is disabled.Can you give a solution? I have a problem for you : I can not change the accelerator of command “flip compass base”, which is currently F5. The property is in grey, and I can’t left/rightclick on it. You can create a new toolbar “Joe Toolbar”, where you can add with drag and drop all these commands that doesn’t work with accelerator. To create a new toolbar go to: Tools -> Customize ->Toolbars -> New. Now here is a problem. i have used space as a shortcut key for hide/show and after i close the catia and reopen it, the space doesn’t work as the shortcut key anymore. the accelerator area is blank. how do i fix this problem. Try to use reset, for this command, or for all. I think it is a limit of number of shortcuts. Try to delete one and after that to bring back hide/show. Yup, tried the reset for all commands and closed the catia and the system as well. restarted it and it works. I’m after a way to select the top item in a tree without having to actually click on it. (I have some automation that requires its selection and automated mouse moves & clicks are not too reliable). Any ideas please? 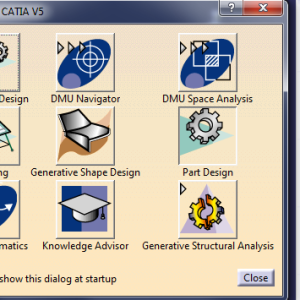 For those who have an disabled Accelerator row, just open a Product or Part in Catia before going to the Customize menu.